Product prices and availability are accurate as of 2019-04-17 16:46:52 EDT and are subject to change. Any price and availability information displayed on http://www.amazon.com/ at the time of purchase will apply to the purchase of this product. 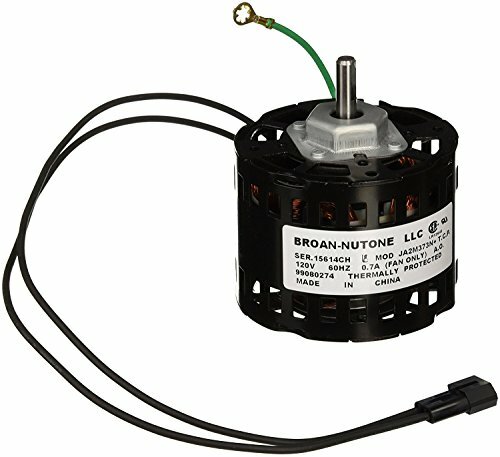 This is a genuine OEM Brogan Exhaust Fan motor replacement to be used with models: ACS120L, ACS130, HS120L, HS130, MS130, MHS120L, NS120L, NS130, MS120L, S120L, S120FL, S130. Shaft is 5/16-inch by 7/8-inch; Rotation CW Shaft End. Motor specifications: 7-Amps, 1500 RPM, 120-Volts.